Can we expect changes in Foreign Trade Policy 2015-20 on Advance Authorization Scheme? 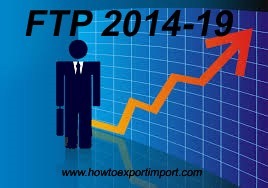 Foreign Trade Policy 2015-20 has been kept ready to declare on 1st April 2015. The business world in India is eager to know the amendments and modifications with introduction of any new schemes and incentives in new Foreign Trade Policy 2015-20. The Advance Authorizations are issued to allow duty free import of inputs, which are physically incorporated in the export product after making normal allowance for wastage. Many amendments have been taken place after introduction of Advance Authorization Scheme in 2009 time to time till date and expected amendments in new Foreign Trade Policy 2015-20. As per Foreign Trade Policy 2015-20, the Advance Authorizations are issued both for physical exports as well as deemed exports. 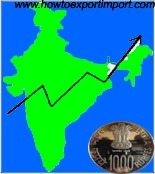 In 2009, Deemed Exports Scheme has also been operationalized. An amendment in Advance Authorization scheme under Foreign Trade Policy 2009-14 has been taken place in 2010, the Commissioners of Customs have also been advised to put in place an institutional mechanism whereby they meet the RLA at least once every quarter to pursue issues relating to EO fulfillment status so that the action is taken against defaulters. In the event of failure to fulfill the EO, the Advance Authorization holder becomes liable to pay the differential Customs duties with interest as notified on such duties. The Advance Authorization holder is required to file a bond with 100% Bank Guarantee for the duty difference at the time of import of duty free inputs. Certain categories of exporters, however, have been exempted from filing Bank Guarantees subject to certain conditions as per different circulars and notifications till 2011 by modifying Foreign Trade Policy 2009-14. Are there any amendment expected under Foreign Trade Policy 2015-20? The validity period for fulfillment of Export obligation against Advance Authorization Scheme is three years (36 months). The exporters are await to hear, whether any modification on validity period for Advance Authorization Scheme under Foreign Trade Policy 2015-20. If so, up to what extend such modification could be as per new Foreign Trade Policy 2015-20. 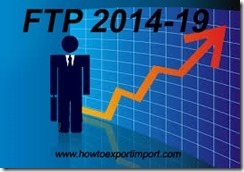 Do you expect any changes in Advance Authorization Scheme in Foreign Trade Policy 2015-20? Share your experience handling Advance Authorization Scheme under Foreign Trade Policy 2015-20. Comment below your thoughts about this article about AAS expected to be in new Foreign Trade Policy 2015-20.